The highest rated new show of the 1960-1961 was The Andy Griffith Show, which ranked #4 for the year out of all the shows on American broadcast network television. Coming in at #5 was another rural comedy, The Real McCoys, which had been on the air since the 1957-1958 season. Between the two of them it was a guarantee that more rural comedies would debut on American television. In fact, two would debut during the 1961-1962 season. Not surprisingly, both of the rural comedies that debuted in the 1961-1962 season resembled The Andy Griffith Show to a small degree. Indeed, both featured widowers with young sons living in small towns. That having been said, they differed from The Andy Griffith Show (and many of the rural comedies that would follow them in the Sixties) in that they were not set in the South or one of the Border States, but in rural New England instead. Despite the success of The Real McCoys and The Andy Griffith Show, neither show would prove to be a hit. The first of the two rural comedies to debut in the 1961-1962 season was Ichabod and Me, which debuted on CBS on 26 September 1961. The origins of Ichabod and Me can actually be traced back to episodes of Robert Montgomery Presents, a long running anthology series hosted by actor Robert Montgomery from 1950 to 1957. On 22 October 1956 Robert Montgomery Presents aired the episode "Goodbye, Grey Flannel", written by J. Harvey Howells . It centred on a Madison Avenue advertising executive (Mr. Major) who buys a Vermont apple farm. George Chandler, who had played Uncle Petrie Martin on Lassie, starred as the irascible Ichabod Lewis. "Goodbye, Grey Flannel" proved so popular that Robert Montgomery Presents aired a sequel, "One Smart Apple", on 3 June 1957. George Chandler reprised his role as Ichabod. It was in 1960 that Joe Connelly and Bob Mosher, now best known as the producers of Leave It to Beaver and The Munsters, produced a pilot based on the Robert Montgomery Presents episodes entitled "Adams' Apples". George Chandler returned as Ichabod (whose last name was now Adams) and Fred Beir played Terence "Terry" Major. Like "Goodbye, Grey Flannel", Mr. Major was once more a New York City ad man who decides to leave the business for life in rural New England (New Hampshire this time). "Adams' Apples" did not sell, although it did air as an episode of General Electric Theatre on 24 April 1960. Perhaps because The Andy Griffith Show proved to be the smash hit of the 1960-1961 season, a show starring George Chandler as Ichabod Adams would make it to the air. That having been said, it would differ from both the episodes of Robert Montgomery Presents and "Adams' Apples" in many respects. Ichabod and Me starred Robert Sterling (who had played ghost George Kerby on the hit sitcom Topper) as Bob Major, a widowed newspaperman with a young son from New York City who bought the newspaper in the small town of Phippsboro, New Hampshire. Ichabod Adams was the newspaper's former editor and the town's current traffic commissioner, who continued to interfere in the newspaper's business. Christine White played Ichabod's pretty daughter Abigail, who was also Bob's love interest. Reta Shaw played Bob's Aunt Lavina (who was also his housekeeper) and Jimmy Mathers (the brother of Leave It to Beaver's Jerry Mathers) played Bob's six year old son Benjie. If that sounds familiar, it is because it is more or less the same set up as The Andy Griffith Show (a widower with a young son who has an older aunt who keeps house). Ichabod and Me was given a prime slot on the CBS schedule for the 1961-1962 season, scheduled between the top rated Red Skelton Show and The Garry Moore Show. Despite what seemed to be an ideal placement on the network schedule, viewers stayed away from the show in droves. It seems possible the audience agreed with critics, who gave Ichabod and Me largely bad reviews. Cynthia Lowry of the Associated Press wrote that "...the programme ought to produce some irate letters from New England viewers who might feel with some justification that their mores and certainly their speech have been libelled." She ended her review by calling Ichabod and Me, "...a pretty tired, clumsy effort." Variety considered the show "...just another another of run-of-the-mill comedy, typically innocuous in content and wholly bland in its approach." Columnist Janet Kern was somewhat more sympathetic to Ichabod and Me than most critics, but even she dismissed it as "...a mediocre carbon copy of many comedy series, in elements of which this carbon has become dim." Regardless, Ichabod and Me lasted only one season, going off the air on 5 June 1962. 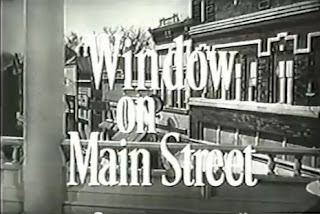 The second rural comedy to debut in the 1961-1962 season was Window on Main Street. 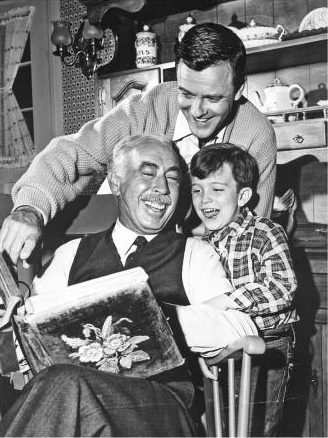 The show emerged largely from the former crew of Father Knows Best. It was created by Roswell Rogers, one of the most frequent writers on Father Knows Best, and starred former Father Knows Best star Robert Young. It was also produced by Eugene R. Rodney and Andy White, both of who had served as producers on Mr. Young's previous show. On the surface Window on Main Street resembled Ichabod and Me, and The Andy Griffith Show for that matter. It centred on author Cameron Garrett Brooks (played by Robert Young) who returned to his hometown of Millsburg after 27 years to write about the people there. He recommenced his friendship with childhood pal Lloyd Ramsey, now the editor of the town newspaper. Constance Moore appeared as Cameron's friend Chris Logan, who had a young son Arney (played by Brad Berwick). A young Tim Matheson occasionally appeared as Cameron's son Roddy Miller. While no state was ever named, Millsburg appeared to be in rural New England. While on the surface Window on Main Street resembled both Ichabod and Me and The Andy Griffith Show, it was in many respects quite different. While both The Andy Griffith Show and Ichabod and Me were sitcoms, Window on Main Street was perhaps better described as a comedy drama. In fact, in some ways it resembled the semi-anthology shows of the era (Wagon Train, Naked City, Route 66, and the like), with many episodes centred upon a guest star. In one episode Cameron helped a young couple who wanted to elope. Another episode centred on a boy who was the class clown. Yet another episode dealt with a man with a domineering brother. It was rare that Cameron Brooks was the central character in any given episode of Window on Main Street. While Window on Main Street was largely from the same creative team as Father Knows Best, it would not see the success that show had. The show had the misfortune to scheduled against the top rated Western The Rifleman on ABC and the popular game show The Price is Right on NBC. As a result Window on Main Street suffered low ratings and was cancelled at the end of 1961-1962 season. Despite the failure of both Ichabod and Me and Window on Main Street, the cycle towards rural comedies would continue in the 1962-1963 season, with three new rural comedies debuting. While The Andy Griffith Show, Ichabod and Me, and Window on Main Street centred on rural folk in rural communities, these three comedies would follow the lead of The Real McCoys in placing rural folk in more urban settings. In other words, the 1962-1963 saw the emergence of the "fish out of water" rural comedies. One of these "fish out of water" rural comedies would become one of the most phenomenally successful television shows of all time. The 1962-1963 season also saw a cycle towards service comedies come out of nowhere, with four of them debuting during the season (among them the classic McHale's Navy). Among these service comedies was one that was also a rural comedy. Don't Call Me Charlie was the creation of Don McGuire, who had seen a bit of success with the sitcom Hennesey starring Jackie Cooper. The show was originally going to be titled Viva Judson McKay, but studies indicated people then thought the show was going to be about a Mexican revolutionary. Indeed, Don't Call Me Charlie was not about a Mexican revolutionary, but instead about an Iowa veterinarian named Judson Mckay (played by Josh Peine) who was drafted into the United States Army and assigned to its Veterinary Corps. He then found himself stationed in Paris after saving a bird who belonged to a little girl who was related to Charles De Gaulle. Amiable country bumpkin McKay often found himself in conflict with his commanding officer, Colonel U. Charles Barker (played by John Hubbard), who insisted that people did not call him "Charlie" (hence the title). The show featured Arte Johnson (who would become famous as one of the cast of Rowan and Martin's Laugh In) as Corporal Lefkowitz and Alan Napier as General Steele. Given it centred upon a country boy who was drafted into the military, Don't Call Me Charlie obviously owed something to No Time for Sergeants. It would not be the last rural comedy to do so. Don McGuire's previous service comedy, Hennesey, was a somewhat respected show, having received good reviews and Emmy nominations in the acting and writing categories. This would not be the case with Don't Call Me Charlie, which received some very bad notices. Rick Du Brow of United Press International was particularly brutal on the show, saying that it "...would best be put out of misery, removed from the air instantly, if not sooner." 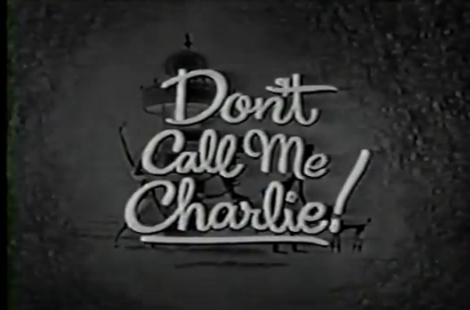 Audiences may well have agreed with Mr. Du Brow, as Don't Call Me Charlie received miserable ratings, despite very weak competition from an ailing 77 Sunset Strip and the equally low rated Fair Exchange. Debuting on 21 September 1962, it went off the air on 25 January 1963, replaced by the musical variety show The Lively Ones (hosted by Vic Damone). While Don't Call Me Charlie was a short lived ratings failure, the second rural comedy to debut during the 1962-1963 season would be one of the most successful shows of all time. As most Americans who have watched television in the past fifty years probably know, The Beverly Hillbillies centred on the Clampetts, a hillbilly family who moved to Beverly Hills after their patriarch Jed (played by Buddy Ebsen) found oil on his land. Although referred to collectively as "the Clampetts", they were not a nuclear family of the sort usually seen on television at the time. In addition to Jed there was his tomboy daughter Elly May (played by Donna Douglas), his cantankerous mother in law Granny (played by Irene Ryan), and the none too bright Jethro Bodine (played by Max Baer, Jr.), the son of Jed's first cousin Pearl. The Beverly Hillbillies largely revolved around the conflict between the older mountain culture of the Clampetts and the more modern California culture of their new home. The Beverly Hilbillies was created by writer and producer Paul Henning. Mr. Henning was already a seasoned veteran of writing situation comedies. He received his break in radio with a script for Fibber McGee and Molly and ultimately spent 15 years with the show. In radio he went onto The Burns and Allen Show and made the transition with them to television in 1950. On television he went from The Burns and Allen Show to creating and producing his own show, The Bob Cummings Show (also known as Love That Bob). The show proved to be a success, running for five seasons and remaining in syndication for many years. Not only did Paul Henning have a great deal of experience writing for radio and television sitcoms, he also had experience with actual mountain folk. Born in Independence, Missouri, as a boy Paul Henning went on camping trips to the Ozarks with the Boy Scouts and encountered real life mountaineers. These encounters led to a fascination with the culture of the hills that would last his lifetime. Indeed, The Beverly Hillbillies was not the first time he had written about rural folk. While working for radio station KMBC in Kansas City, Missouri, Mr. Henning was one of the writers and cast of Happy Hollow, which was described as "a down-home programme featuring traditional music, country humour, and the corn-fed wisdom of 'Uncle Ezra'." On The RCA Victor Show and The Dennis Day Show it was Paul Henning and Stanley Shaprio who created the character of Charley Weaver, a rural persona played by Cliff Arquette whom Mr. Arquette would later adopt for his own. On The Bob Cummings Show (starring fellow Missourian Bob Cummings) there was the recurring character of Grandpa Collins. While Grandpa wasn't a hillbilly, he was definitely from the country and it showed all too well. Paul Henning also wrote two episodes of The Real McCoys, the show that opened the doors for all rural comedies to come. The Beverly Hillbillies emerged from Paul Henning's experiences with genuine hillfolk and his love of rural humour. It was in the early Sixties that Al Simon, an executive with Filmways (then producing Mister Ed), approached Mr. Henning about writing a pilot for them. That pilot was The Hillbillies of Beverly Hills, soon renamed The Beverly Hillbillies. Despite Paul Henning's considerable experience in writing and producing sitcoms, The Beverly Hillbillies would not have an easy time making it to the air. ABC, the original home of The Real McCoys, passed on the show. CBS bought The Beverly Hillbillies, but scheduled it opposite the popular Perry Como's Kraft Music Hall on NBC and, worse yet, gave it virtually no promotion. Receiving virtually no support from CBS, Filmways mounted its own promotional campaign for The Beverly Hillbillies. The company produced a series of 20 to 60 second spots that started airing in 85 cities six weeks prior to the debut of the show. The Beverly Hillbillies debuted on 26 September 1962 to some of the worst reviews any television show had received up to that time. Rick Du Brow of UPI said of the show, "The series aimed low and hit its target." The New York Times called the show "...strained and unfunny." William K. Sarmento in The Lowell Sun said, "...last night’s premiere of The Beverly Hillbillies was an insult to the intelligence of the most moronic viewer," and remarked, "The show is a cross between The Real McCoys and L’il Abner." Like William K. Sarmento Variety considered The Beverly Hillbillies an imitation of The Real McCoys and, adding insult to injury, said that it was "...painful to sit through" and "...improbable and impossible as the characters who people it." Although it might have seemed so at the time, not all of the reviews were bad. Cynthia Lowry of the Associated Press genuinely liked the show, writing "...it promises to be uninhibited and amusing if the writers remember to add enough branch water to the corn." Cultural critic and writer Gilbert Seldes (who probably had more intellectual clout than any of the critics who hated the show) also appreciated The Beverly Hillbillies, writing essays on the show for both the 15 December 1962 issue of TV Guide and the 5 January 1963 issue of The Saturday Review. Much to many of the critics' chagrin, The Beverly Hillbillies became the smash hit of the 1962-1963 season. The show started off strong, with a 28 ratings share and continued to rise from there. By its fourth week The Beverly Hillbillies was the top show on the air with a 33.7 ratings share. Ultimately, The Beverly Hillbillies would become the first show in the history of television to be #1 for the year during its very first season (here I must point out that The $64000 Question was a summer replacement before becoming the #1 show for the 1955-1956 season). 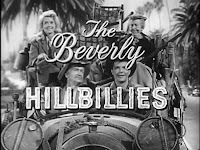 The Beverly Hillbillies would remain #1 for the 1963-1964 season, setting recording breaking ratings with many of its episodes. Indeed, "The Giant Jackrabbit (aired 8 January 1964) remains the highest rated, half hour episode of a sitcom to this day. What is more, seven other episodes of The Beverly Hillbillies aired in late 1963 and early 1964 remain among the most watched programmes on American television for all time. 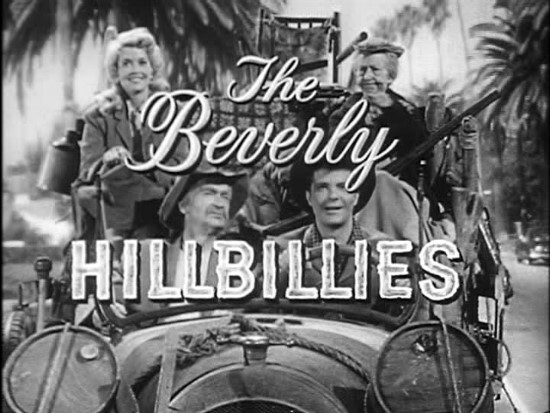 While The Beverly Hillbillies would not maintain such phenomenal ratings beyond its second season, the show continued to rank in the top twenty programmes for each of its seasons except its last. When it was cancelled in the 1970-1971 season, it was not due to low ratings. Instead it was cancelled by CBS as part of the Rural Purge, a group of cancellations of shows that appealed to largely rural audiences (many of which were still high rated). Today it is difficult to understand how so many critics at the time could hate a show that would not only become the smash hit of the 1962-1963 season, but would eventually be considered a classic too. Much of it may have been intellectual snobbery on the part of many critics. Rightly or wrongly, rural humour has always been considered lowbrow, so it should not be surprising that many television critics at the time would not take to the show. At the same time, however, it seems possible that audiences simply grasped something about The Beverly Hillbillies that the intellectual snobs among the critics simply did not. Quite simply, The Beverly Hillbillies was a show as never had been seen before. The Beverly Hillbllies was part of a larger cycle (a supercycle?) towards broad comedy that had begun with such shows as Dobie Gillis and Mister Ed. As part of this supercyle towards broad comedy, The Beverly Hillbillies was so broad as to be absurdist in nature. It took the format of most domestic comedies of the Fifties, in which episodes revolved around the personal crisis of one of the characters that would be neatly resolved in a half hour, and threw it entirely out the window. Instead the emphasis on The Beverly Hillbillies was on humour, with no concern given to resolving the characters' personal problems or even to any pretence towards realism. As Giblert Seldes pointed out in his essay on The Beverly Hillbillies, while the typical formula for comedy was "real people in unreal situations", the formula for comedy on The Beverly Hillbillies was "unreal people in unreal situations". In many respects The Beverly Hillbillies was the forerunner of such other surreal sitcoms of the Sixties as Get Smart and The Monkees. Of course, The Beverly Hillbillies not only functioned as a peculiarly American, rural farce, but also as social satire. Quite simply, the central conflict of the show was between the honest, hard working Clampetts and the unethical and often hypocritical city folk they live among. This is perhaps seen most clearly in the contrast between Jed Clampett and the President of the Commerce Bank (where they keep their millions) Milburn Drysdale (Raymond Bailey). Jed is honest to a fault and treats everyone as an equal, regardless of their station in life. Although he is a multi-millionaire, money matters little to Jed and one gets the feeling he would not mind too terribly much if he lost all of his millions. On the other hand, to Mr. Drysdale money is everything, and he is willing to do almost anything, no matter how unethical, to keep the Clampetts' money in his bank. The other residents of Beverly Hills are not much better. Mrs. Drysdale (played by Harriet E. McGibbon) is a blue blooded snob who regards the Clampetts as beneath her. Of the city folk, only Mr. Drysdale's secretary, Jane Hathaway (played by Nancy Kulp) is a decent person. She frequently questioned her boss's schemes and sometimes even defied him if she thought he had gone too far. Even though she was educated at Vassar, Miss Jane (as the Clampetts called her) treated the Clampetts as equals and friends. Functioning as both a farce and a social satire, The Beverly Hillbillies would expand beyond spoofing the upper class of Beverly Hills. And while it never acknowledged the Vietnam War or the anti-war movement (no sitcoms and not many dramas of the era did), over its several seasons The Beverly Hillbillies did acknowledge the changes in society that were taking place in the Sixties. Over the course of its run, the show dealt with Hollywood, dance crazes, the spy craze, the counterculture (to which it seemed somewhat sympathetic), the student movement, feminism, the then current interest in Eastern religions, environmentalism, and even jogging. While the Clampetts never changed, The Beverly Hillbillies did acknowledge that the world was changing around them. The Beverly Hillbillies ran for nine seasons (a run that might well have been longer had it not been for the Rural Purge) and its reruns are still run in syndication to this day. It would lead directly to two other rural comedies, Petticoat Junction and Green Acres, all of which shared the same reality. There can be no doubt that its success was largely responsible for extending the lifespan of the Sixties cycle toward rural comedies. The third rural comedy to debut in the 1962-1963 season would not see nearly the success that The Beverly Hillbillies would. 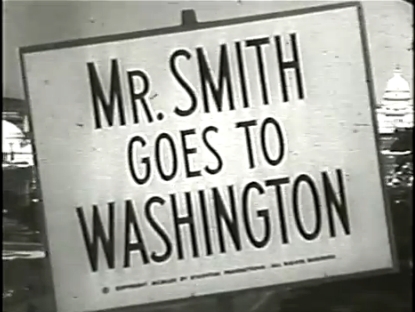 Mr. Smith Goes to Washington debuted on ABC on 29 September 1962. The series was "created for television (as the credit read) by songwriter Hal Stanley (perhaps best known for such Kay Starr songs as 'Half a Photograph") as a vehicle for Fess Parker (then best known for playing Davy Crockett). It was very loosely based on Frank Capra's1939 film Mr. Smith Goes to Washington, so loosely based that one might as well say that Jimmy Stewart and Fess Parker played two completely different characters. Regardless, just as in the film, Mr. Smith found himself elected to a vacant Senate seat following the death of a Senator. In the television series Eugene Smith (played by Fess Parker) was an honest man from an unnamed, but largely rural (and most likely Southern) state. The show also starred Sandra Warner as his wife Pat, Stan Irwin as his chauffeur Arnie, and Red Foley as his Uncle Cooter. 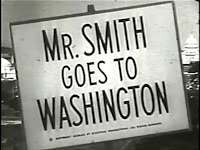 Mr. Smith's constituents often provided the plots for episodes of Mr. Smith Goes to Washington. In one episode he tries to help a young soldier who is being court martialed for falling asleep while on sentry duty. In another episode his friends Si and Abigail Willis (played by Buster Keaton and Jesslyn Fax) create chaos in Washington when they reveal their secret for producing thousands of minks in a week. As might be expected, a recurring theme on the show was the conflict between honest, intelligent, but often unsophisticated Senator Smith and Washington society. Mr. Smith Goes to Washington featured some big name guest stars during its run, including Kay Starr, Leo Gorcey, Harpo Marx, Doodles Weaver, Buster Keaton, Edward Everett Horton, and Jack Carter. Unfortunately, it did not help the show in the ratings. The show was scheduled against then top rated drama The Defenders on CBS. It went off the air after 24 episodes on 23 March 1963. I really enjoyed reading this post. It brought back a lot of memories as a kid watching these shows in their original run.